Former Archbishop of the New Zealand Dioceses, the Most Revd David Moxon, has become the new Director of the Anglican Centre in Rome and the Representative of the Archbishop of Canterbury to the Holy See. He has been honoured with the title “Archbishop Emeritus” by the Anglican Church in Aotearoa New Zealand and Polynesia, the first time the church has bestowed such a title. 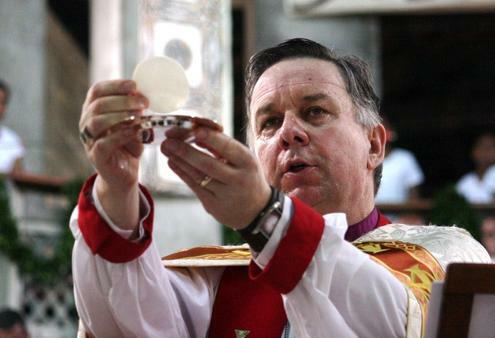 Archbishop Moxon (62) will continue as Co-Chairman of the Anglican-Roman Catholic International Commission (ARCIC). The new director of Rome’s Anglican Centre, former Archbishop of New Zealand David Moxon will be officially welcomed to his new post on Thursday at an ecumenical prayer service in Rome’s Oratory of St Francis Xavier, run by the Caravita international Catholic community.